In January of 1853, the trustees of the Cape Island Presbyterian Church purchased a lot on the north side of Lafayette Street, at the corner of what is now Bank Street. Local builder, Peter Hand, designed and built their church. He designed a Georgian-vernacular style building with an oddly graceful, onion-curved, mosque-like belvedere. For the rest of the summer, Cape Islanders and visitors alike thronged the beautiful new church. 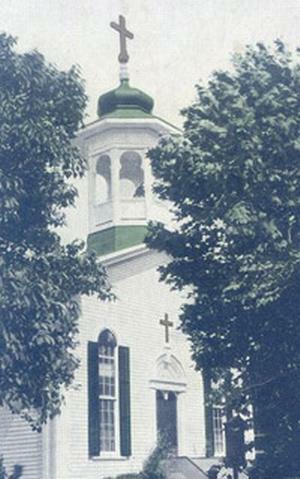 In the fall of 1853, the Cold Spring trustees sold it to the Methodists. 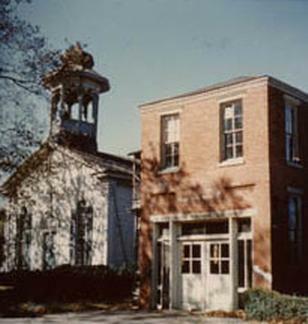 The church served the congregation until 1898 when they moved to their new church at Hughes and Decatur Streets. The trustees sold the old church to Annie Knight. She bought it for the local Episcopalians, who had no building. In the mid 50’s, one of the City’s proposed solutions to the increasing automobile problem was to tear down the church and an old fire station next to it to create a parking lot. The City purchased the Church for $2,000 and began demolition plans. However, an early Cape Island preservationist, Tom Harris, intervened to save the building. He pointed out that Cape May did not have a much-needed Central Community House. The City fathers agreed to support Tom’s effort. Incorporation papers were drawn up for the Historical and Community Center of Cape May (HCC), Inc. The Board declared the building available for art shows, dances, plays, association meetings, banquets, etc. After running the center for 17 years, Harris grew tired of the job and its responsibilities. In 1973 Mayor Bruce Minnix suggested that the City take over operating the Center. The City converted its primary use into a Visitor Welcome Center, though it still served for meetings, plays and such. In 1988, Michael Laird descended upon Cape May and incorporated Cape May Stage as an Equity theatre company. Laird, self-described as ‘an Equity actor and a director and producer and a sculptor and a playwright and a poet and a clown’ launched the first Cape May Stage production Sea Marks featuring Tom McCarthy at the Chalfonte Hotel in August, 1989. Ably assisted by Executive Director Angel Conran, during the theatre’s formative years, Laird produced plays at various venues in the Cape May community. In 1993, Laird persuaded the City Council to allow him to rent the Welcome Center to host his evening productions. That November, The Dorothy Parker Story, became the first Cape May Stage production to be performed in its current home. For the next seven seasons Laird attracted award-winning actors from Philadelphia to bring their talents to the stage. A highlight from those years was the production of Love Letters featuring Robert Prosky and Estelle Parsons. 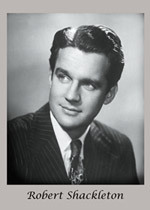 Laird passed away too soon in January 2001 and the Board hired Michael Carleton as its new Artistic Director. 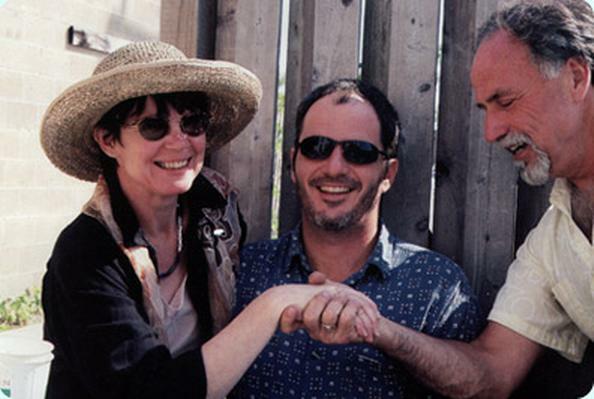 With Joe Pannullo and Alicia Grasso as key administrative staff, the theatre grew and expanded into an eight-month production season by 2002. Laird’s vision for a ‘real’ professional theatre space did not die with him. It was carried forward by the Board and staff and in 2004, Project Encore was born. Chaired by Cape May resident and long-time benefactor Jim Moffatt, this endeavor entailed a $1.4 million capital campaign that provided funding to restore the historic church as ‘the architectural jewel in the city’s crown’; inside the building arose a state-of-the-art theatre space. Over 400 members of the Cape May community donated the required resources. The splendid/restoration/renovation of building and grounds was completed by spring, 2008. 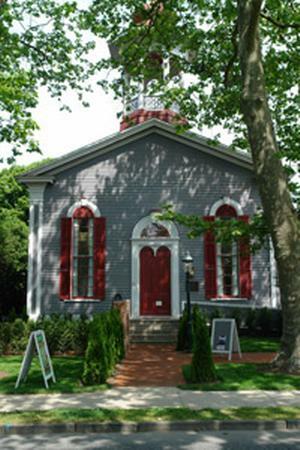 The former church now has a new life, as the vibrant Robert Shackleton Playhouse, home of Cape May Stage. One of the most generous contributors to the Project Encore campaign was the Martel/Shackleton family. The building is named after Robert Shackleton, father of Woody Shackleton and Leslie Shackleton Martel, a seasonal resident of Cape May along with her husband Myles. As a young man in the 1930’s and early 40’s, Robert Shackleton visited his brother, Jack, in Cape May. Jack’s family still owns their house on Beach Ave, the Griscom House. After graduation from Temple University, Mr. Shackleton appeared on Broadway and in London in shows like, Where’s Charlie with Ray Bolger, Keep Off the Grass with Jimmy Durante, Three After Three with Simone Simone, Set to Music with Noel Coward and Beatrice Lillie. His screen career included lead roles in The Wonder Kid and the reprise of Where’s Charlie with Ray Bolger. Mr. Shackleton’s theatre career was interrupted by World War II. He entered the Army as a private and attained rank of Major, serving as aide to General Omar Bradley. Tragically, Mr. Shackleton passed away at the young age of 42 in 1956. In 2009 Roy Steinberg took over the reins as Artistic Director and immediately expanded the season and created a Second Stage Series on Monday evenings. He extended the theatre’s use of professional designers and technicians and built upon the quality of the productions. More adventurous fare, mixed with well known boulevard comedies increased attendance and annual giving grew. Steinberg continues to bring world premieres that have gone on to be published and performed at leading theatres. Writers like Rupert Holmes, Stephen Temperley, and William Mastrosimone have appeared to talk with audiences after performances. He brought award-winning artists like Karen Ziemba and Lynn Cohen to our main stage and the Second Stage has hosted a number of notable talents including Mary Testa, Anthony Rapp, Liz and Ann Hampton Callaway, and Jill Eikenberry and Michael Tucker. In 2012, capacity at the Playhouse increased with the addition of a new mezzanine and on-site ticket sales became possible with the construction of an outdoor kiosk. 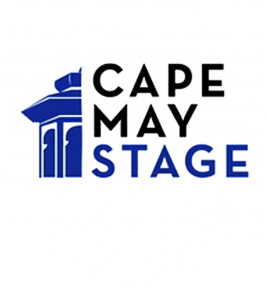 In 2013, Cape May Stage celebrated the beginning of its twenty-fifth anniversary season, marking the beginning of a year of extraordinary growth. The season began with a National Playwrights’ Symposium, allowing aspiring playwrights and theatre professionals to learn from Pulitzer Prize and Tony-nominated playwrights. The Resident Intern Company was introduced, a full immersion program allowing college graduates the opportunity to live and work in Cape May for the span of the theatre’s full season. A premiere opened the 2013 season — Shawn Fisher’s How To Make A Rope Swing, focusing on racial issues in a Southern New Jersey town. More challenging works were explored through the “Danger – Stay Away” series of staged reading that highlighted more risqué and provocative works. “Box office sales hit an all-time high as a number of first-timers discovered Cape May Stage. As the second half of our twenty-fifth anniversary season dawns, great strides have already been made guide Cape May Stage along this path of growth. Changes have been made to improve our facilities with the relocation of the scenic shop to Cape May and renovations backstage at the theatre. 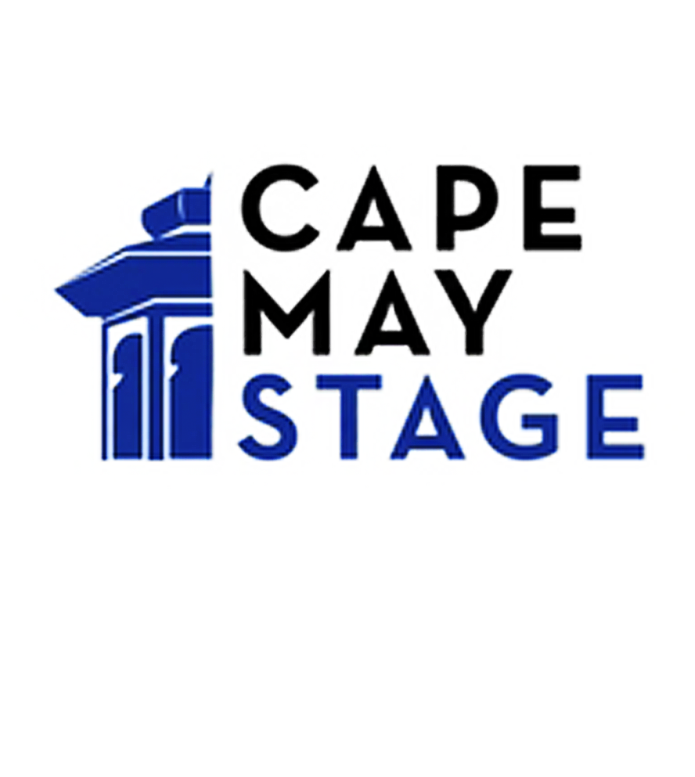 With the introduction of a new logo and website, Cape May Stage has placed itself in a position to continue to be recognized as a cultural leader, both in the region and nationwide.